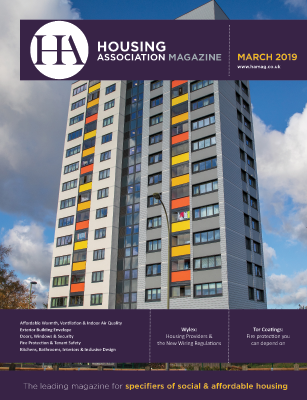 HA magazine published by Euromedia Associates Ltd. As a printed magazine it is distributed completely free of charge to a select circulation of specifiers and decision makers involved with the provision of affordable housing. Free to readers whose job profile is in keeping with HA’s circulation brief, the data receives an annual audit which is carried out internally by Euromedia Associates Ltd. Readers are requested to resubscribe each year in order to ensure that they continue to meet HA's criteria. HA Magazine has been published since 1998, keeping building industry specifiers and professionals informed of the most up to date developments in this diverse sector. If you would like to subscribe or renew a subscription to HA please click the subscribe button now. To view digital copies of HA click here.